Weight ranges for being overweight and obese are calculated using the Body Mass Index (BMI). BMI is calculated by dividing a person’s weight in pounds by height in inches squared, and then multiplying that result by 703. The 2017 Community Health Status Survey (CHSS) asked for height and weight during the survey, and BMI was calculated for each respondent. Overweight is defined as a BMI of 25-29.9. Obesity is defined as a BMI of 30 or greater. Based on BMI, a person who is 5 feet 4 inches tall would be considered overweight at 150 pounds and obese at 180 pounds. Similarly, a person who is 6 feet tall would be considered overweight at 190 pounds and obese at 220 pounds. CHSS found that nearly 7 in 10 adults (68%) in Greater Cincinnati and Northern Kentucky are either overweight or obese, more than in 2013 (65%). After rising for several years, the percentage of obese adults in the region remained stable between 2013 (33%) and 2017 (32%). This is similar to the nation (30%).3 The Healthy People 20204 goal is an adult obesity rate of 30.5% or lower. In our region, nearly 8 in 10 adults with fair or poor health (78%) are overweight or obese, while just less than 6 in 10 adults with excellent or very good health (59%) are overweight or obese. 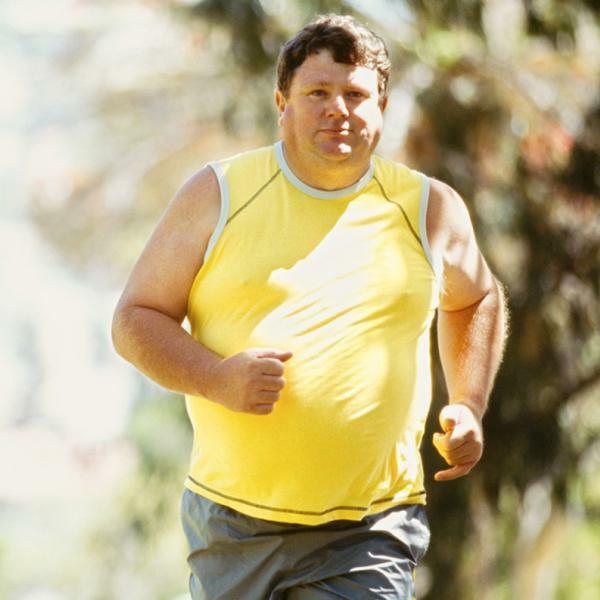 An adult with fair or poor health is more likely to be obese than overweight. Out of every 10 adults with fair or poor health in our region, five are obese and three are overweight. But among 10 adults with excellent or very good health, only two are obese and four are overweight. This illustrates the connection between obesity and overall health. Some groups in the region are more likely than others to be obese. Adults earning less than 100% of the Federal Poverty Guidelines (FPG)5 are more likely to be obese (45%) than adults living between 100% and 200% FPG (35%) and above 200% FPG (29%). 1 Centers for Disease Control & Prevention, “Adult Obesity Causes & Consequences.” Retrieved May 24, 2017, from http://bit.ly/2mtep7r. 2 The State of Obesity, A project of the Trust for America’s Health and the Robert Wood Johnson Foundation, “Health, Healthcare and Obesity,” Retrieved May 24, 2017, from http://bit.ly/2qILZcc. 3 National data are from the 1999, 2002, 2005, 2010 and 2011-2015 Behavioral Risk Factor Surveillance System, available at http://bit.ly/2rzoTbe. 4 More information about the Healthy People 2020 goals is available at http://bit.ly/2qIGjyN. 5 In 2015, 100% of the Federal Poverty Guidelines was $24,250 for a family of four; 200% FPG was $48,500. 6 36% of adults age 30-45 are obese; 34% of adults age 46-64 are obese.